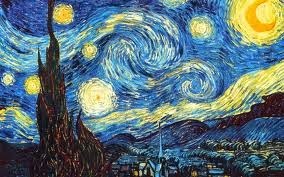 Beautiful love them both, though it took me a bit longer to work out the significance of the last line of the first one 'starlit sky'(though some might argue that nothing to lose, nothing to gain is cliched, but despite that I like it a lot and the beautiful Van Gogh painting. Thanks so much, Rachael ... I like how these came together, sort of playing off each other. These are very moving, just wonderful haiku. Had to give out my appreciation in more than a "like" check. And your accompanying art and Issa - yes. Mary: Thanks so much ... glad the whole post came together.